Are you ready for an invigorating adventure and the chance to learn a new business culture with an Internship in China? Do you speak fluent English skills and are at least 18 years old? Then you can fit right into the LTL internship program. The Internship duration can be anywhere from 1 to 6 months and while Mandarin skills are beneficial, it is not required. Having your internship organized by LTL will mean that you can put your mind to rest. LTL offer you support, not only during the sign up process, as our student advisor can be contacted 24/7 during your time in China to help you with your needs. We are confident we will find the right internship for you and can also offer you comfortable accommodation in great locations and a jam packed social calendar. Everything you need to make the most of your time in China. LTL offers an Internship in China Program in both Beijing and Shanghai, let us organize the right internship for your future. 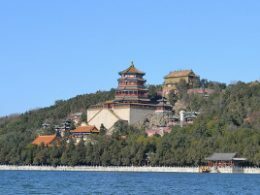 Being an intern in Beijing and working abroad is not only an incredible opportunity to give your CV an extra boost that will make you stand out, but also a lot of fun. In addition to gaining great work experience you will discover the capital of China, 5,000 years of history and its fascinating culture. You will make friends from all over the world, explore Beijing’s incredible night life and dive into what is one of the world’s fastest growing and changing countries. China’s Biggest City, in terms of size and opportunity! 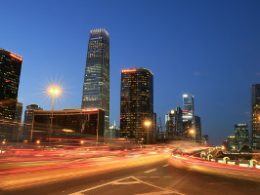 Interning in Shanghai is also a great chance to not only learn about Chinese work culture but also gain some work experience in a field of your choice while discovering an exciting metropolis. Shanghai’s history doesn’t quite go back as far as Beijing’s, but it does have an extremely unique background and some incredible sites to explore. You’ll get to experience this one of a kind city all whilst feeling like a local Shanghai resident. 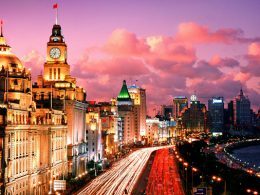 Come to Shanghai and experience one of the biggest, most thriving cities! Stand Out - China looks impressive on anyone's CV! Interning in China is a once in a lifetime adventure. You get impressive international work experience to add to your CV, the chance to explore an incredible ancient culture and you get to make a new international group of friends. Email us the position, industry, location and dates you are looking for, ask any questions you might have and once you are ready, decide on the program you want. LTL organizes Skype interviews with suitable companies until you agree to an internship. Receive the signed contract, visa documents and pre-arrival information. Get picked up from the airport and come to the LTL welcome breakfast. 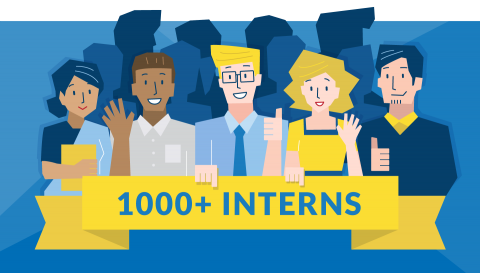 Join the LTL intern community for events, drinks and activities, and use the LTL support whenever needed. LTL offers internships in two separate programs. Our Internship and Accommodation program is available from four weeks or more and includes accommodation as well as inclusive support. Our Internship Semester program lasts for a minimum of 16 weeks and up to a maximum of 22 weeks and includes four weeks of accommodation and a four-week intensive language course. For more details and prices, see below. Your included accommodation is in a shared apartment small room. Our shared apartments in Beijing are based next to the Communications University, just a few stops on the subway from the Central Business District and allow for more freedom during your stay. Our Shanghai location is equally as central. The bathroom is shared and bedding and towels are provided. Apartments are shared with Chinese students and possibly a foreign student or intern. There is limited use of kitchen facilities (fridge and microwave only) but there are many very cheap local restaurants located within a few minutes’ walk. WiFi and bills are included. PLEASE NOTE – All prices are listed in Chinese Yuan (CNY). With the Internship + Accommodation Program, it’s possible to make upgrades on your accommodation and by adding Chinese classes to your internship. We will help you to find your internship within less than two weeks after you booked the program. Recommended only if you are very late with your booking and we always recommend to organize this all much earlier. However if you are really late, we got you covered. The internship semester program lasts for a minimum of 16 weeks. Start your adventure in China by taking 4 weeks of Intensive Chinese classes at our language school in Beijing or Shanghai. Accommodation is included for these four weeks in either a local Chinese Homestay (great for those wanting to experience local Chinese culture and improve their language skills quickly) or in our Shared Apartments (a budget option that’s perfect for those wanting more freedom). These Chinese classes are taken in small groups (maximum of six students), last for four hours a day from Monday to Friday and are organized for your Chinese level. They are a great way of meeting new friends in the city, getting involved with the LTL social calendar and most importantly, will give you some needed Mandarin language survival skills. At the end of your four weeks you will be able to navigate the subway, ask for directions and order your dinner in restaurants. PART TWO – After four weeks LTL will assist you in finding your own further accommodation free of charge. If you wish to stay in your current homestay/apartment, this can be arranged for a fee if the school is told in advance. Your internship now begins. You will get six hours of Chinese group classes (two hours, three times a week) included during the duration of your internship, taken outside working hours. These will help you to keep up your Mandarin level. NOTE – If no group class are suitable for your schedule/level, LTL will offer you two hours of 1-on-1 class a week at your school, office or home. Each program includes 1 month full time Chinese course, followed by internship & part time Chinese classes. My name is Kevin Riehl, I am from Germany. Between my bachelor and master studies I performed a gap year. During the whole time I was living in a Chinese homestay, which I can definitely recommend. I was an intern almost for 6 months. All my supervisors were professionals and the knowledge I got in marketing will definitely help me with the job search. Thank you LTL for this experience and to my team, love you guys! I really enjoyed both my internship and China. I learned a lot during my time in Beijing, both about architecture and how an office works in general but also, what it means to work in a Chinese team and company in China. The best advice for anyone planning a trip to China is to be open-minded and to be willing to try new things. Progressing with Chinese is possible while interning! Even small Mandarin skills really helped me. During my 4 months in China I chose to live with a Chinese family, and, now my experience has concluded, I can say that it was the best choice I could make.Although my “host family” was made up of only one person, I really felt at home. Not only did I have the opportunity to speak and improve my Chinese, but also to create a beautiful relationship with my “roommate”, whom I thank again for the delicious food that has prepared me in everyday. My name is Kevin Riehl, I am 22 years old and from Germany. Between my bachelor and master studies I performed a gap year in order to collect enriching experiences. During my self organized gap year I spent six months in China, with the support of LTL. I studied Chinese in Shanghai for two months at LTL and then attended an internship in Beijing. During the whole time I was living in a Chinese homestay, which I can definitely recommend. The support of LTL’s services was always excellent. The survival kit at the beginning was very helpful, as well as the support with opening a bank account and getting a Chinese Simcard. Furthermore LTL supported me to find a great internship that exactly fits into my field of studies and let me grow a lot personally. The support for finding clean, safe and friendly homestays was outrageous; for me it was more than a homestay, it was like a real, warm family. The lessons at LTL have been very good and the teachers support was very helpful. During my six months I managed to improve my Chinese skills a lot and I passed two HSK examen (level three and four). Furthermore the time at the school and the social activities have been very enriching, because you can meet a lot of very interesting people from all around the world with totally different backgrounds, from pupils, university students and hobbyists to seniors and business men. Learning Chinese at LTL enabled me to use the Chinese language independently and to travel all by myself through China, create a professional network in China and make a lot of very good friends. I thank you very much LTL, I riehly :-p lived the language and enjoyed my time in China 😉 and I will never forget it. My name is Alina, I’m 24 years old and I’m from Russia. I’m a Master’s student in Beijing. In my last year, we are recommended to take an internship. I was lucky to be part of LTL Mandarin School as an Online Marketing Intern. I was an intern almost for 6 months, originally I decided to take it for 3 months but I really liked my job and team so I stayed longer. All my supervisors were professionals and the knowledge I got in marketing will definitely help me with the job search. The office looks pretty and perfect for work, people are very friendly and you can meet people from all over the world. When you are in LTL you fell yourself part of a big family and this is awesome because most of stuff and students are far from their families. The company is well known in Beijing and developing fast. 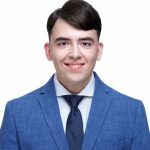 During my internship, we were working on the Russian website, but at the same time, our team was working on 3 other websites for different countries. The main feature of this company policy – thinking outside of the box and creating something new. New ways of teaching and immersion in the language. Our team was always generating tons of new cool ideas and it’s the best feeling when you see progress and you know you are part of it. Thank you LTL for this experience and to my team, love you guys! LTL Staff Dinner – Russian Food! I decided to go to China right after graduating from High School: a new country, new language, new culture, new people, first time living alone, basically everything new. Before the internship with the Chinese architecture firm I spent a week studying Mandarin in Beijing to improve my extremely basic language skills. 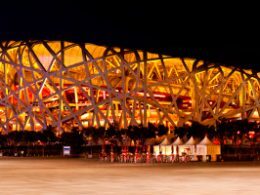 Once I got to Beijing my first adventure was when my landlady showed me around my apartment in Mandarin which was quite a challenge. However, somehow it did work in the end; with a lot of sign language, a bit of English and my few Chinese words, we managed to communicate. After a week of Chinese at the school and later with the help of my colleagues I could order food in restaurants that did not have menus with pictures and get the basics of daily life done. China itself was fascinating. There are people everywhere, in every street and every park. While where I come from, old people often sit at home in front of the TV, in China they seem to be all outside, playing Mahjong, cards, table tennis badminton or even singing and dancing in a public square. It was actually surprisingly easy to get used to living in China and whenever I was lost there was always some Chinese person who came to me trying to help or show me the way. After my – unfortunately a bit short – one week Chinese course, I started my seven week internship. 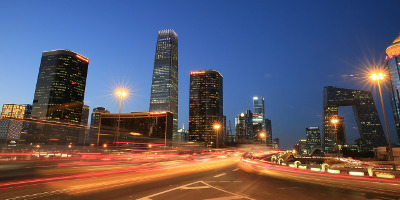 Like the school, our office was situated right in the middle of Beijing’s Central Business District. On my first day, the manager picked me up from the lobby, showed me the office and introduced me to the rest of the team. I worked together with five colleagues in the same office, several of whom could not speak English, however I very quickly became friends with one lady in the office who did and she quickly became my go to person whenever I had a problem. She and everyone else in the office tried to help me to learn more Chinese which was very nice. In general the atmosphere was very friendly and supportive and we went for dinner after work together several times as well. Considering I was only working there for seven weeks, I did a lot of things. I went to client meetings with colleagues, all in Chinese of course, but at the end they summarized for me what they had talked about. We also had several meetings about working style, discussing what was going well in the office and where improvement was still needed. This was all very relaxed and whenever the team manager finished, he asked everyone for their opinions – even me! It was also very interesting to see how the business culture in China is quite different. After meeting a client usually we would go for lunch together, something I would not have expected to be so important. On the one occasion when a client did not want to join for lunch, my colleagues told me that this was a very bad sign that he was not happy with the meeting, something I would have never thought of myself. As I started my internship in Beiijng right after High School, I didn’t have any previous work or internship experience. However, my manager gave me my first task right on the first day of work. At the beginning I should edit pictures for their website. He first showed me how to do it with an example and then I continued myself. Afterwards, I also helped with some English editing and did a lot of research for the company. My biggest project was writing a research report about different architectural styles in shopping malls, which was very interesting. I was also asked to use the computer programs used in the office. First SketchUp, a program for creating 3D architectural plans and then AutoCAD, which is used for creating 2D construction plans. I started first by watching a few learning videos and then asked my colleagues whenever something was not clear. I started using AutoCAD quite soon, for example transferring traditional Chinese designs patterns into AutoCAD and creating details for houses my colleagues had designed in SketchUp. I really enjoyed both my internship and China. I learned a lot during my time in Beijing, both about architecture and how an office works in general but also, what it means to work in a Chinese team and company in China. I think I also understand a lot more about Chinese culture, Chinese people and a little bit more about the language now, even though I think there is still a lot left to learn. Experiencing Chinese culture had always been a dream of mine. To make this dream come true, I decided to do a three month internship in Beijing from January 2015 until April 2015. Due to the fact that I couldn’t speak a word of Mandarin when I planned my internship, I came to the decision that it would be very helpful to learn the language as well and so I signed myself up for a language course – ten hours a week – at the LTL Mandarin School in addition to my internship. Although I have been very busy during my stay – the usual working time in my company was from 8.30am to 5.30pm – I never regretted my decision. My private teacher always considered my wishes and made it possible to study late in the evening or at the weekend. Everything was very flexible. If an important appointment came up at work, it was never a problem to postpone a language class and to catch it up later. In addition to classes, LTL helped me to find a homestay apartment in Beijing and supported me in applying for the visa. Especially within the first weeks after my arrival in Beijing, I was very glad to have contacts in the language school who were always willing to aid me with any occurring difficulties. Contrary to my expectations, it is very difficult to find one’s way in Beijing if you don’t understand Mandarin at least a little bit because the average taxi driver and shop assistant doesn’t speak English. Fortunately, my progress in learning Mandarin has been faster than originally expected, thanks to my excellent teacher and the homestay family I lived with. For this reason, I was able to manage the daily life in Beijing after a few weeks of learning Mandarin on my own. Especially the oral Chinese basics are not as difficult as I feared. Progressing with Chinese – it is possible! Furthermore, my advances in learning Mandarin were quite useful during my working time in the company as well, although the main part of my colleagues was able to speak English fluently. Even small Mandarin skills really helped me on a day to day basis and allowed me to establish personal relationships with Chinese people who are incredibly hospitable, friendly and welcoming. Besides all the time spent on working and learning, I of course also had some free time and Beijing is a great place to enjoy it. 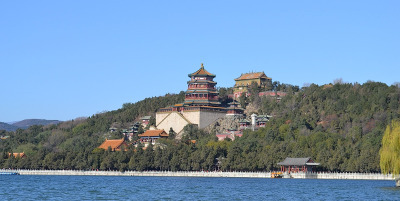 There are a lot of famous places like: The Great Wall, The Temple of Heaven and The Forbidden City, that are incredibly impressive and totally worth a visit but I especially recommend a visit to the Summer Palace with its gorgeous lake, the beautiful hills and impressive buildings. It is the perfect place to find some quiet and relaxation in a city that is always noisy and hectic. I also found that it very easy to enjoy my hobbies in Beijing. I really like to do sports and especially love to play badminton. For this reason I looked for a badminton club shortly after my arrival and it was no problem finding one. The local people in this club were really friendly and open-minded and loved including me in their group. They invited me to participate in all of their exercises and I enjoyed it so much, I ended up playing with them three times a week. 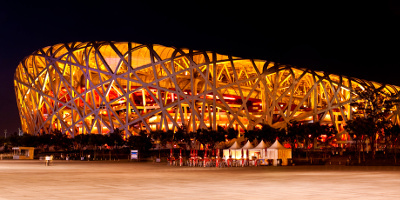 I would recommend anybody who has a hobby, like doing sports or making music, to look for a club or a band in Beijing. Since it is such an enormous city, it is very easy to find one and the local people are really willing to get to know you. It is a great opportunity to enjoy your free time, make friends and at the same time learn more about the Chinese culture. Finally, I hold the opinion that the best advice for anyone planning a trip to China is to be open-minded and to be willing to try new things. The Chinese people are very interested in every foreign person and it’s easy to get to know them and even to make friends with them. The Chinese food is very versatile, absolutely tasty and nothing to be afraid of, especially typical traditional Chinese food like jiaozi and baozi. I had never heard of these prior to my trip to China – they are incredibly yummy and totally worth a try! Normal working times in China are 40 hours per week. When exactly you will start and finish your work every day will depend on your company. This is a good question to ask during the interview. Am I allowed to take holiday? It will depend entirely on how long you stay and your company’s polices. Sometimes you will and sometimes you will not. This is a question you should ask during your interview. 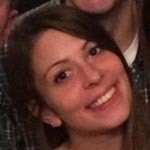 Are the Internships in China paid? Do I need to be able to speak Mandarin? No, Mandarin is not required for doing an internship in Beijing. Fluent English language skills however are and all other languages are a bonus. However, some companies only consider applications from interns who do a Chinese course in Beijing before their internship. This is mainly to make sure that the intern had time to settle into China in a safe and supported environment and is ready to work when starting the internship instead of struggling to sort out daily life. This is quite important because during the first few weeks in Beijing a new arrival needs a lot of support in organizing life here, which is easily available at a Chinese school but not necessarily at a company. Many employers do not want their HR departments spending half their times helping newly arrived interns sort out daily life problems. Do you recommend booking a Chinese course? We do but this is entirely up to you. Learning Mandarin in China is a great way to boost your CV skill set and make you stand out from the crowd. It will also make your day to day life in China much more comfortable. You will not need Chinese skills for your Internship but it’ll make certain tasks such as asking for directions, topping up your phone or going shopping, that bit easier. Will I definitely get an Internship? Every applicant is different but we have over ten years of experience when dealing with Internships and we do not fail when it comes to placing people. What industry could I work in? China hosts a wealth of Internship options which range from sales, marketing, tech, law, medical, engineering, hospitality, medical, translation, education, IT, import/export, sports and many other areas. The country is incredibly dynamic with a host of opportunities to develop your career. In general as early as possible, because the more time we have to organize the internship the more choices you will have. However, it is possible for us to organize an emergency internship within less than two weeks if you are really late. You will definitely have to be more flexible on your choices in that case though. Most people apply about half a year before coming to China. What is important during the job interview? As a participant of the LTL internship program you will skip the application queue and get an interview with the company straight away. However, during the interview the company will decide whether you are a good fit or not, so make sure you present yourself in a professional manner. Each company is different and if you have any specific questions regarding an upcoming interview with a company ask your internship advisor. Also make sure you ask a lot of questions during the interview. Only you can decide whether this internship is right for you or not, so get as much information as possible. Just send us a message through our contact form (link contact form) or an email to [email protected]. Let us know what you are looking for and we will have you signed up in no time. The more details regarding yourself and what you want you can give us the better. If you already have a CV, please email it to us too, however if you do not yet this is not a problem and we will help you with creating one.